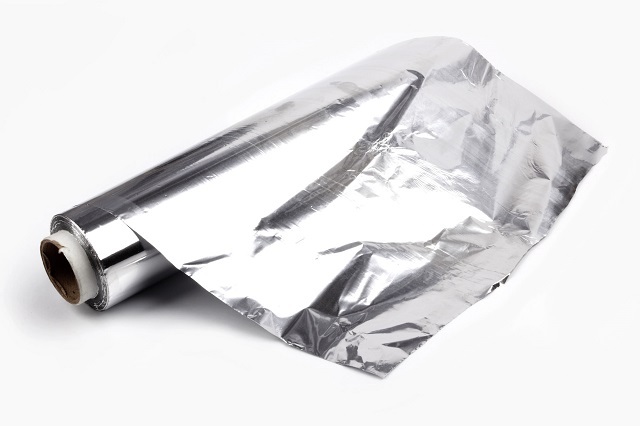 Aluminum foil is taking more and more important role in national economic development, especially has wide application in the packaging, electrical, construction, and other fields. The application of the aluminum foil is very broad, such as aviation food packaging, ordinary meat packaging, cable foil, building insulation materials and so on. In the developed countries of Europe and the us, aluminum foil products used to wrap accounted for 70% of total demand. Nowadays the aluminum foil in the Chinese market is developing rapidly, in our daily life,people can see the Aluminum foil more and more. But do you know what is Aluminum foil made of? Aluminum foil is made by 99.0% - 99.7% purity aluminum after many times’ rolling, The soft metal film is not only moisture-proof, airtight, shading, but also has the advantages of incense, avirulent insipidity, these advantage are unmatched by any other current packaging materials. This is a practical aspect of aluminum foil, it's gorgeous aspect is embodied in its luster with elegant silvery white, people can give full play to the imagination, to print characteristic, beautiful and colorful patterns on the surface. Just because the aluminum foil is super practical and colorful, the aluminum foil packing is more and more popular in the society , the market space is infinite. The aluminum foil has shiny metal luster, strong decorative performance,relatively light weight, only one-third of iron, copper, rich extensibility, thin thickness, low weight per unit area, good shading performance, reflective rate can reach 95%, high protective performance make packing materials susceptible to bacteria, fungi and insects. It is stable In the state of high temperature and low temperature, there are no shrinkage deformation when the temperature is 73 ~ 371 ℃. Barrier property is wonderful, moisture-proof, airtight, incense, can prevent the packing contents from moisture absorption, oxidation and volatilization metamorphism. Aluminum foil is easy to be processed, it can composite with all kinds of plastic film, and paper.